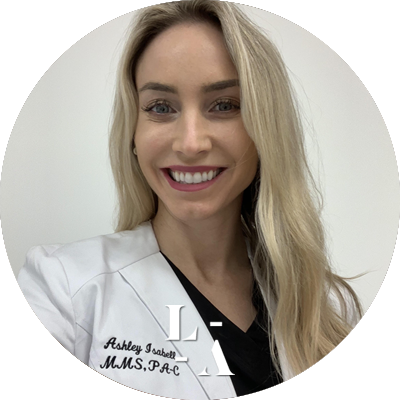 Ashley Isabell is a Physician Assistant who specializes in Aesthetic Dermatology. She completed her undergraduate degree in Molecular & Microbiology at the University of Central Florida. She then continued her education at Nova Southeastern University where she earned her Master of Science Physician Assistant degree. She oversees the medical staff at various locations in the San Diego region. She initially worked as a clinician for the company seeing patients and honing her skills until she was then promoted as a clinical trainer. From there, she grew with the company and took on a regional role where she now supervises the medical staff.